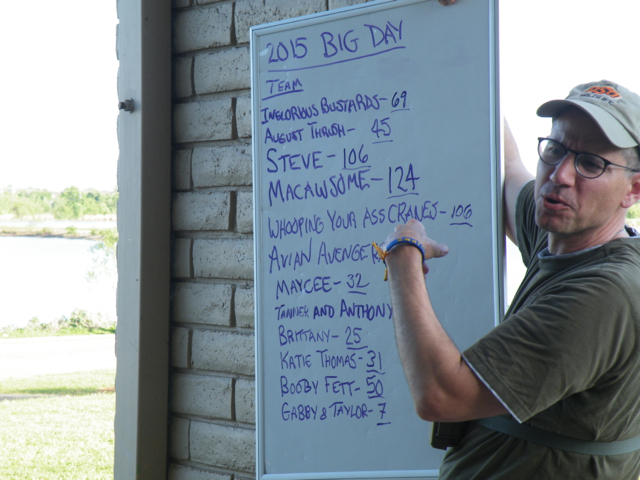 The Payne County Audubon Society generally relies on ONE fundraising event each year: BIRDATHON! 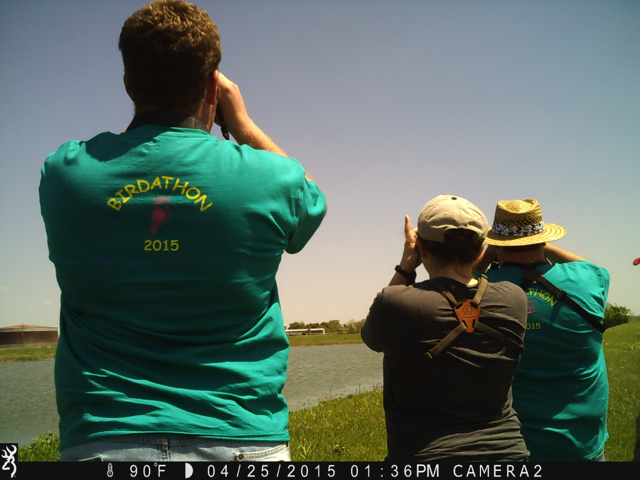 Our ability to provide thoughtful programming and sponsor research, education, and conservation in our community stems directly from the support we receive during BIRDATHON. Please give generously, and rest assured that your contributions will come right back to the community. For 2019, all BIRDATHON donations received will go directly toward our campaign to help raise funds to build a large bird flight cage at Nature’s Vein Wildlife Rescue and Education in Perkins, OK.
Nature’s Vein is a 501c(3) non-profit center for wildlife rehabilitation and education, owned and operated by Jessica Torres. Jessica holds multiple permits for rehabilitation of wildlife, but she needs to build a flight cage (example) to qualify for additional permits to provide care for larger birds, several of which are brought to her for medical care each year. Your support can help some of those birds get nursed back to health and released back to the wild. 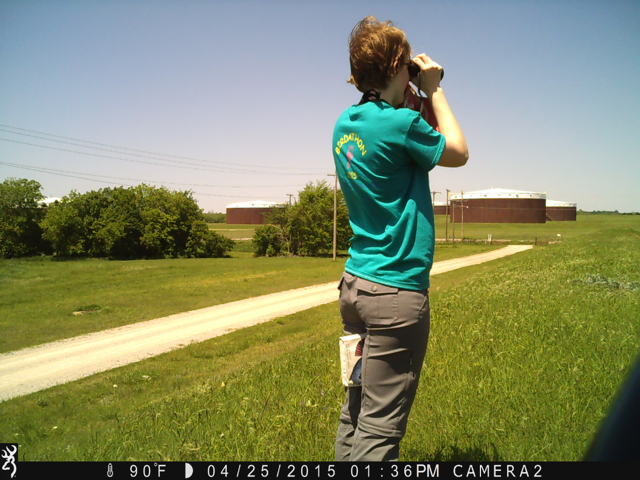 BIRDATHON works like any other sponsored endurance event: Volunteer birders spend a set amount of time in the field trying to find as many different species of birds as possible. Sponsors pledge a monetary donation to reward the effort either as a flat sum or, for added incentive to excel, on a per species basis. For example, if a birder finds 100 species and a sponsor has pledged $1.00 per species, then the sponsor will make a $100.00 donation to the PCAS. The birder must work very hard to maximize each pledge by finding many species, the sponsor will be pleased to see the results of that hard work, and the PCAS can continue the great work we do in central Oklahoma. 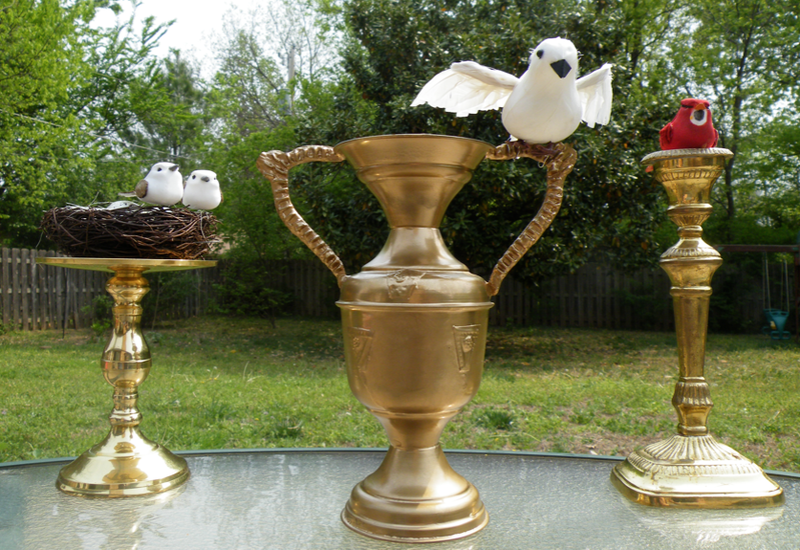 Here at the PCAS, we do BIRDATHON the fundraiser as a Big Day competition, usually in late April. The PCAS OK Big Day is a classic birding big day competition in which teams compete head-to-head to find the most species of birds from midnight to 6:00 pm, culminating in a tally rally to declare the winners. Teams compete in several categories including overall high count (open to anyone in Oklahoma with teams phoning in their results by 6:00 pm), Payne County high count for people who limit their wanderings to within our home county, and non-motorized for birders who travel only by bicycle, on foot, or on horseback. Of course, our greatest admiration goes to the team that raises the most money in pledges! We will hold our OK Big Day competition on Saturday, April 27th. 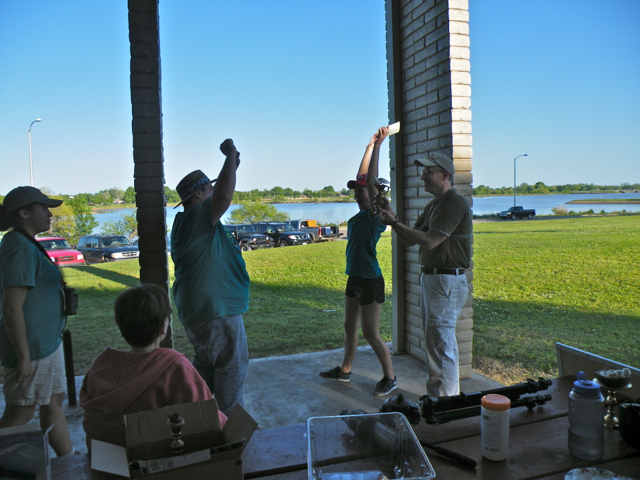 The OK Big Day will begin after midnight on the 26th, and teams of birders will scour fields and forests and everything in between to find as many species as possible before converging on Boomer Lake (west side; north pavilion) for the awards ceremony at 6:00 pm on the 27th. Above all, you don’t need to be an expert birder to compete. You just have to want to get out, have fun, and see some birds while raising money for a great cause! 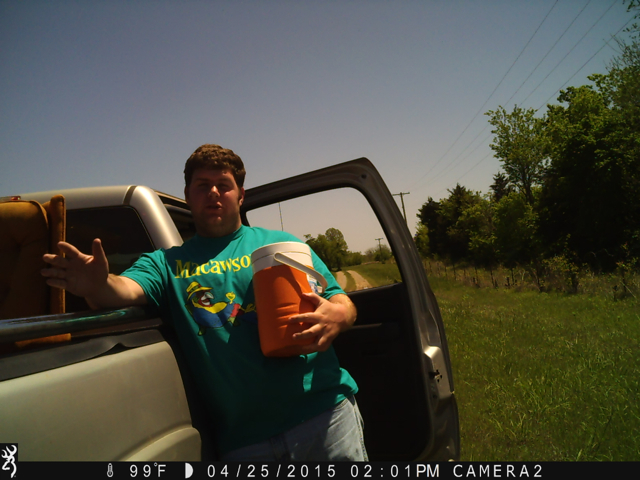 teams must register with Tim O’Connell (preferably by email: tim.oconnell@okstate.edu; 405-338-8764) by Fri, Apr. 26th. teams can have a minimum of 2 and a maximum of 5 members. at least 50% of the team members must identify each species counted, e.g., both members on a team of 2; 2/3 on a team of 3; 3/4 of 4; 3/5 of 5.
team members cannot split up to cover more ground; as a general guide, members should never be more than shouting distance away from each other. 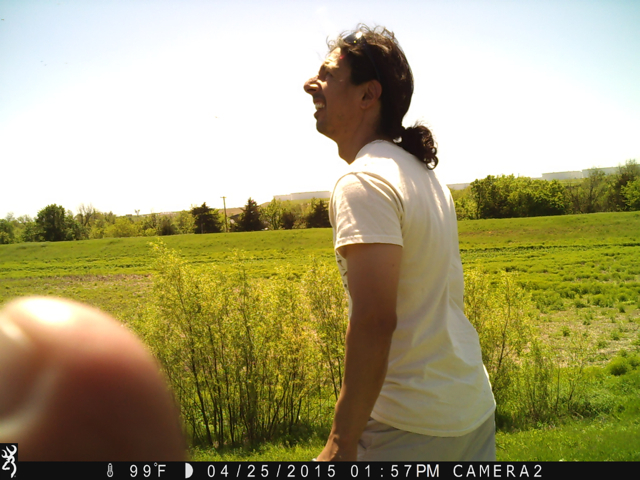 birds can be identified by sight or sound. *no artificial devices (electronic or otherwise) can be used to lure birds in. only American Birding Association (ABA) “countable” North American species can be included, e.g., no “domestic chickens”. team members must follow the ABA Code of Ethics: http://www.aba.org/about/ethics.html. The most important thing to do to prepare to compete in the OK Big Day is to form a team and start collecting pledges now. Most donors will be happy to pledge an amount per species. 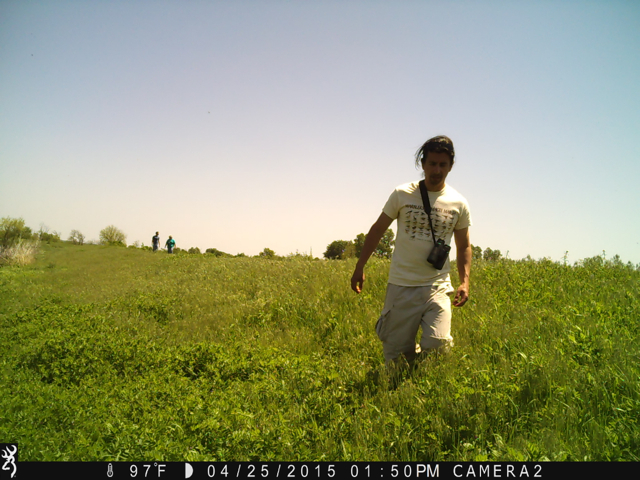 For example, if your team finds 100 species of birds, a 10-cent pledge works out to a $10 donation. Some donors will pledge a flat amount, regardless of how many species your team finds. Donations are super-easy – and tax-deductible! Just visit the Donations page here and follow the instructions. Be sure to tell your sponsors that for you to get the credit for their donation, they will need to enter that information in the Special Instructions dialog box. For teams that gather no pledges, we suggest a donation from the team of $10/team member. 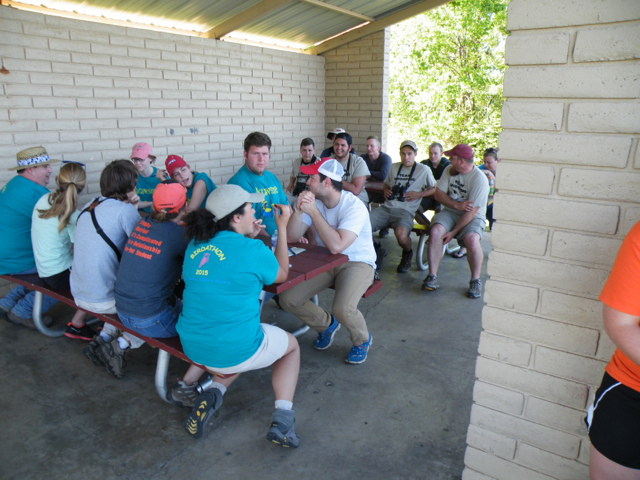 Above all, BIRDATHON is a fundraiser, and the only one we hold each year. 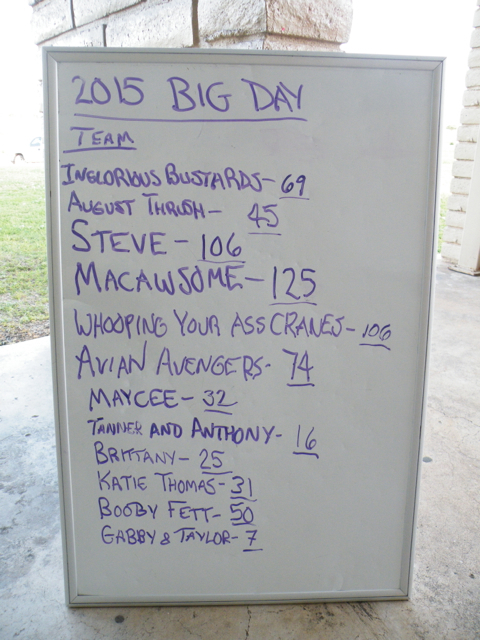 Results from the 2016 OK Big Day! Little Rufous Corvette: Medhavi Ambadar, Madeleine Naylor, Ashley Love, Kaati Schreier, and Matt Waselik. 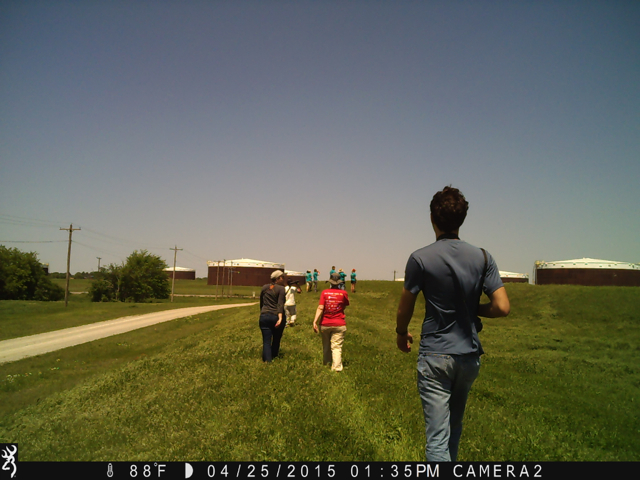 Special Guest Stars – Cameron Smithee & fiance’, reporting from Cimarron County! 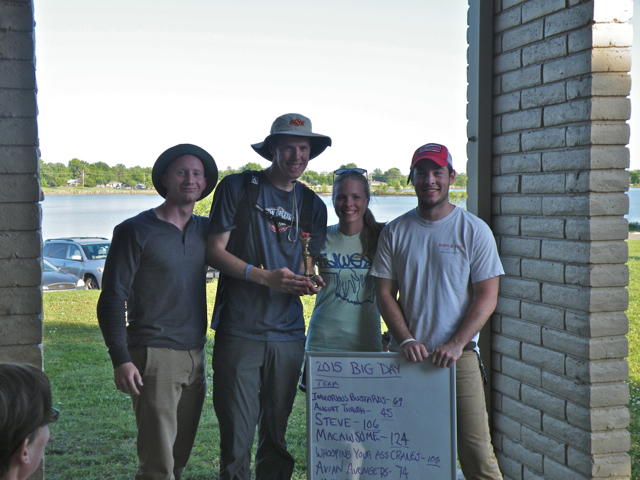 Roy Cruz, Chris Williams, and Josh Engelbert celebrate Team Booby Patrol’s victory with 134 species on the day! The OK Big Day was held Saturday, April 30, 2016. It was cool, cloudy, and windy in the morning, and most jackets weren’t shed until 4:00 pm. Recent rains have filled rivers and wetlands, leaving very little shorebird habitat. Our mild winter and spring left us little in the way of waterfowl either. Nonetheless, our teams did well. Special congratulations go to Team Booby Patrol who won the competition outright with 134 species! This just might be a new record for Payne County! 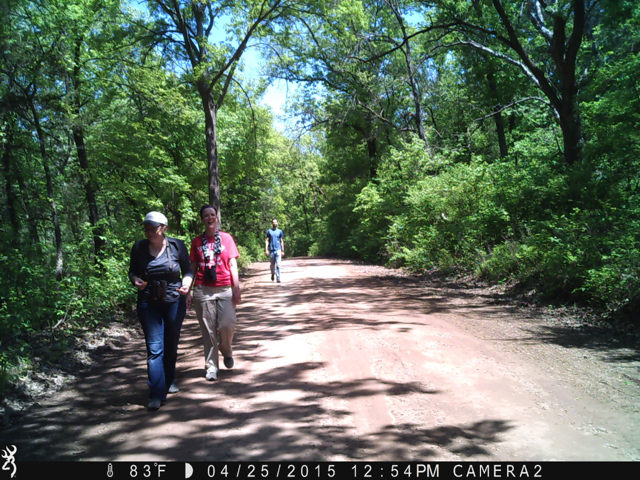 Combining Booby Patrol’s list with those of other teams, we collectively encountered and amazing 151 species in Payne County! This makes 150 do-able for a single team in the future . . .
Scott and Sara Loss cracked 100 species while shopping in Tulsa! The Heavy-Metalarks brought lots of attitude and had a great day with 121. Terrific showing from Little Rufous Corvette in their first big day! Roy Cruz, pretty excited about the sweet victory! The big hero of the day, however, was Helen Jordan from the Pterodactyls. 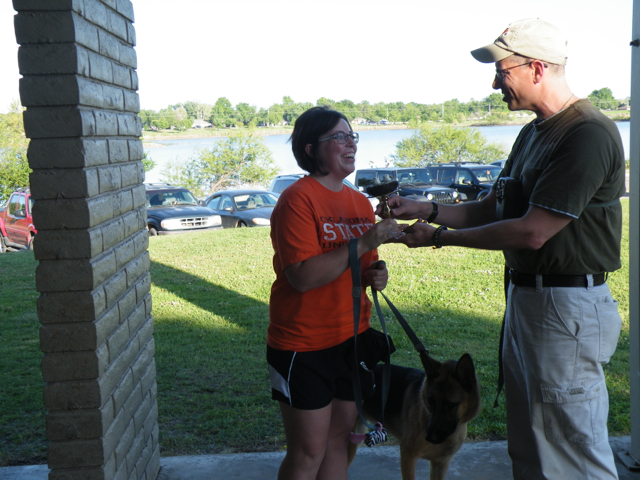 Helen is rumored to have raised a whopping $1000 for the Payne County Audubon Society through her efforts in BIRDATHON. Congratulations Helen, and thank you! Now it’s your turn to be the hero: If you haven’t already, please pop over to the DONATIONS page and reward these folks for their hard work in the field. Every bit of your tax-deductible support is appreciated, and it goes a long way toward the PCAS’ ability to provide nature-related programming right here in our own community over the coming year. Our field trips, scholarships, lectures, etc. rely entirely on your support, and we’ll take it any time you want. If offering a donation for a particular team or team member, just follow the “Special Instructions” that show you how to do that. Thanks! 2015 BIRDATHON Big Day Report, Payne County, OK.
From the gorgeous subtle beauty of the Milky Way before dawn to the warm long shadows of the setting sun at dusk, 14 teams enjoyed a glorious day in Payne County for the 2015 Big Day on Saturday, April 25th. Congratulations to all the students, families, and pets(!) who competed. 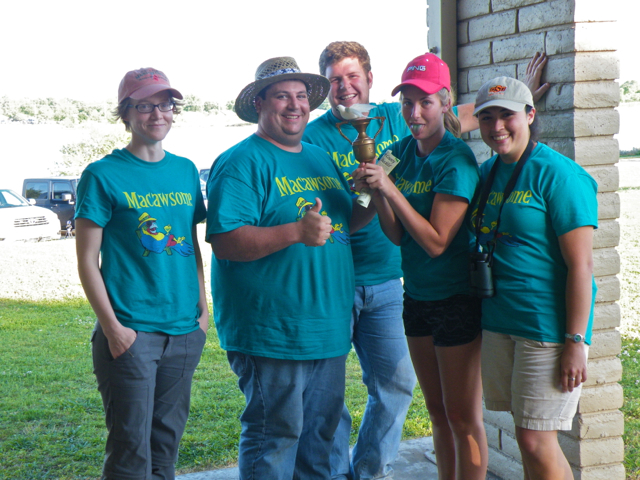 Congrats to Maycee Goza who won in the non-motorized category with 32 species, and to team Macawsome (Kelly Boyer, Eric Duell, Emily Sinnott, Talia Branham, and Lisa Elizondo) as the overall winners with an amazing 125 species on the day! The award for best team name went to the Inglorious Bustards (David O’Dell, Abby Randle, Zac Hemans, and Evan Flanagan). Needless to say, a fun time was had by all! 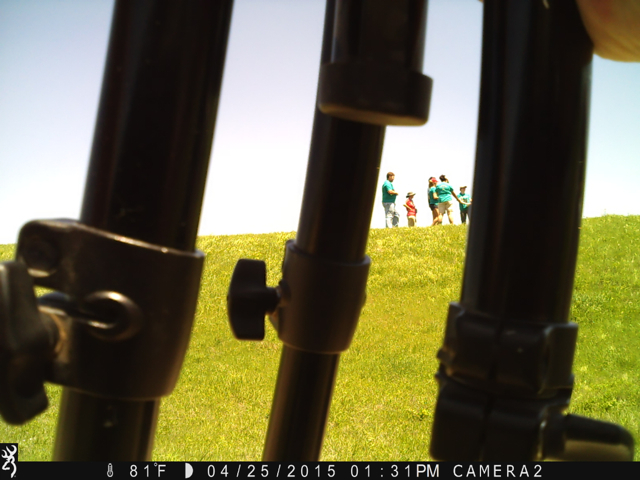 Upland Sandpiper – flyover before the team was fully assembled so it didn’t make our official list. Pileated Woodpecker – apparently nesting in the Lewis’ Woodpecker tree at Lake Carl Blackwell. Loggerhead Shrike – Teal Ridge! Scarlet Tanager – My first ever in Payne County, OK! The bird flew into the Lewis’ Woodpecker tree at Lake Carl Blackwell, sang once, and flew right over our heads heading northwest. We clearly saw the deep red underparts, relatively short black tail, and whitish underwings of an alternate-plumaged male.